Many properties can gain a huge amount of space, simply by developing the roof area. Most authorities have little difficulty in granting these kind of home improvements. Another great advantage of adding a roof extension to your property is the view! Recent research from Nationwide Building Society suggests that a loft conversion can increase the value of your property by up to twenty per cent. A well-conceived design can also improve the way you live in your home. Frequently, extensions do not require planning permission as they fall within “Permitted Development Rights”. 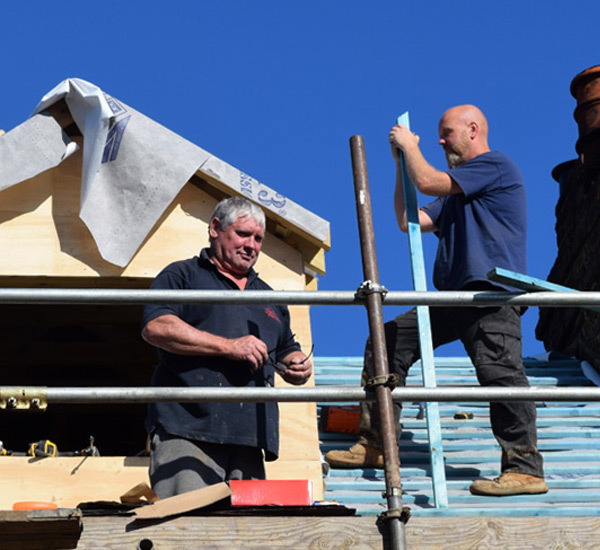 These include straightforward dormer conversions and hip-to-gable loft conversions (where side walls do not exeed the existing ridge line height). While having a garage can be very useful, often it is better to use the space to create another bedroom or a bigger kitchen. With more people working from home than ever before, you may even decide to use the space as a study or office. After all, most cars are built to withstand our climate these days and hardly need to be kept under cover.